Step 1 Assemble your materials. 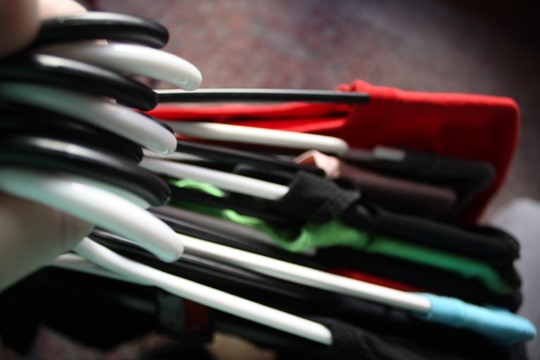 "Gather 10 t-shirts and 10 hangers. Set the hangers (neatly) in front of you and take a deep breath. Button ups will work as well, but they must be buttoned before beginning." Step 2 Layer them up. 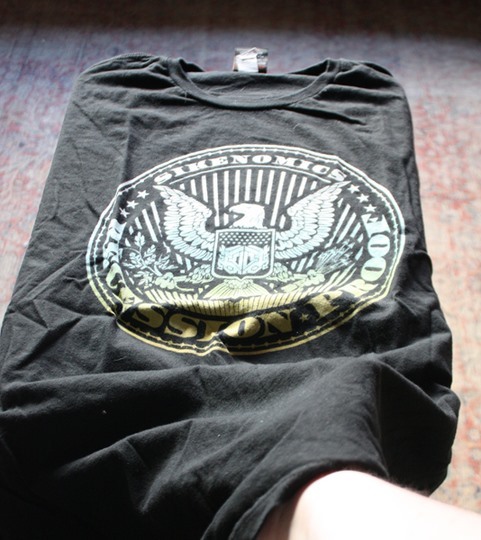 "Place your arm inside the bottom of the first t-shirt and exit your hand through the neck hole. No it won't seem natural, but yes, you're doing it right. Continue to layer all shirts on your arm in this manner..."
"With the arm not inside the shirts, grab a hanger from the pile. 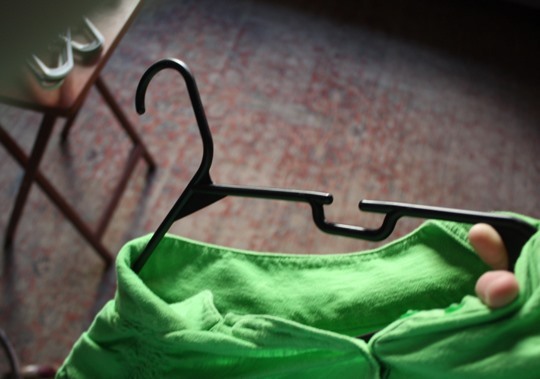 Angle it through the neckhole, and into the shoulders — while at the same time pulling the hook of the hanger taught and away from the shirt and thus, pulling the hanger up and off your arm." Step 4 Just how fast can you go? 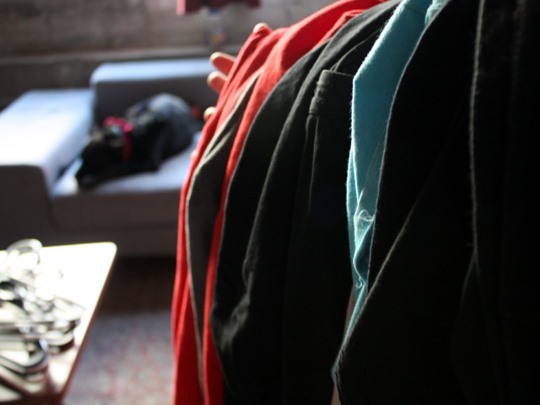 "In this method, you can hang 10 shirts in 10 seconds, though many a friend and fellow employee has been known to hang shirts even faster than that. 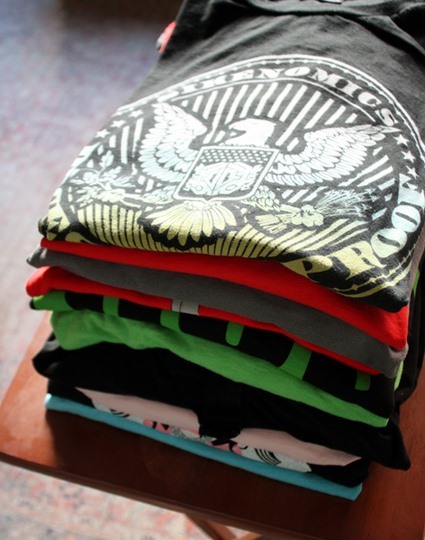 You can hang as many shirts as your arm can hold and it's a great way to remove shirts from the laundry. 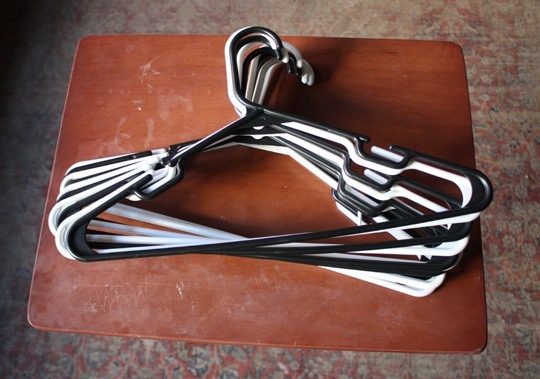 Simply load them up and head straight to the closet, no more baskets of laundry on the floor!" Previously, HowTo: Make the Perfect Fried Egg. HowTo: Remove a Stripped Screw With a Rubber Band.